San Francisco's East Bay is a fascinating and complex place full of dozens of distinctive neighborhoods. Unlike some areas in which neighborhoods differ only by name, the East Bay’s different areas tend to have dramatically different personalities. It’s sometimes hard to imagine, for example, that East Oakland, the Oakland Hills, and Jack London Square are all part of the same relatively small city. Whether you are a longtime local looking to get to know the area better or a relatively recent transplant or visitor still learning about the different neighborhoods, this guide will help you get a handle on this fascinating and varied area. The Oakland Hills is one of the more upscale residential areas in Oakland. It is not one specific neighborhood, but rather an area of Oakland that contains several distinct enclaves. While some of it is residential, quite a bit is also devoted to parkland. 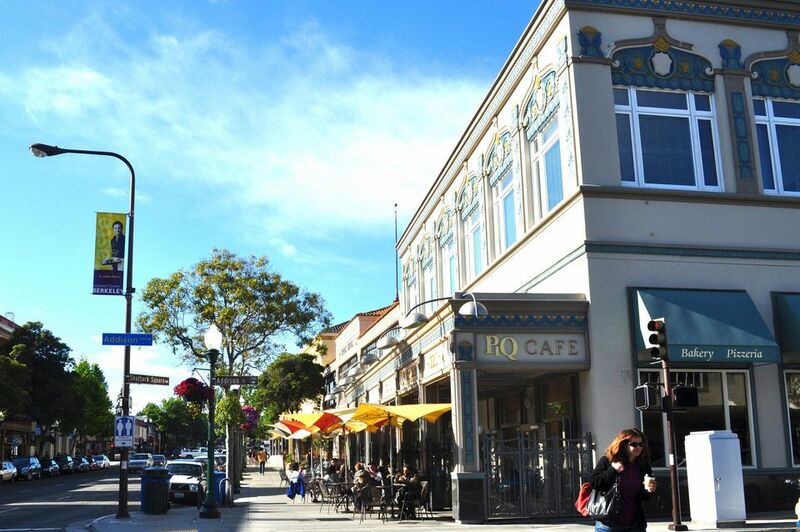 Rockridge, a neighborhood located in the northern portion of Oakland, offers a wide variety of shops and restaurants. If you want to eat, browse, or buy something, this is a great place to do it. It’s also one of those neighborhoods where you can easily spend a day wandering around without any specific purpose and have a great time. If you’re going out for a night on the town in Oakland, Uptown is the place to do it. The possibilities here include some great restaurants as well as the Fox and the Paramount, both of which are great venues for live music. Jack London Square, named after the famous writer who spent a lot of time there, is one of Oakland’s most distinctive landmarks. You’ll often find lots of activities going on here, from free outdoor concerts to dance events and street fairs. Even when there are no special events, it’s a great place to explore. There are several great restaurants and pubs in the area, so come hungry and thirsty. When people from out of the area hear about Oakland, many of them instantly think of a rough, gritty place that most closely resembles East Oakland. That isn’t to say that all of this neighborhood is bad, but you should always be aware when walking here. Fourth Street is one of Berkeley’s more upscale shopping areas. If you want to buy a nice gift, this is a great place to do it. There are also some fantastic restaurants here, which means it’s easy to spend a full day shopping, with time out for refueling. The Gourmet Ghetto is so named for a reason: It has some of the best restaurants not only in the city but also in the entire area. The famous Chez Panisse is here, along with other less famous but almost equally good choices. If you aren’t somehow associated with University of California at Berkeley, you may not spend much time in the Northside area. This is unfortunate because it actually has a lot to offer. If you’re looking for Mexican food, it’s hard to beat Celia’s for its combination of quality, quantity, and price. Downtown Berkeley is one of the easiest parts of Berkeley to visit, thanks to the BART station located right in its heart. In addition to the shopping and dining options that you would expect to find in a downtown area, you’ll also find the main branch of the library and the YMCA. Northbrae and Westbrae are two distinct but nearly adjacent neighborhoods in Berkeley. Both offer shopping and dining options, and they are close enough together that you can explore them both in one trip. Elmwood provides some of the best of what Berkeley has to offer. This neighborhood, centered on the intersection of College and Ashby avenues, has lots of upscale yet quirky shopping and dining options.